Cast, polished and triple-plated in Los Angeles, California by Gene Smith Quality Reproduction Corvette Parts since 1993. While we are the only manufacturer of these tail lights, we continually work to improve them. In 2013 we modified the tooling to allow for even better chrome plating. We're car guys too, and strive to make the best possible parts! 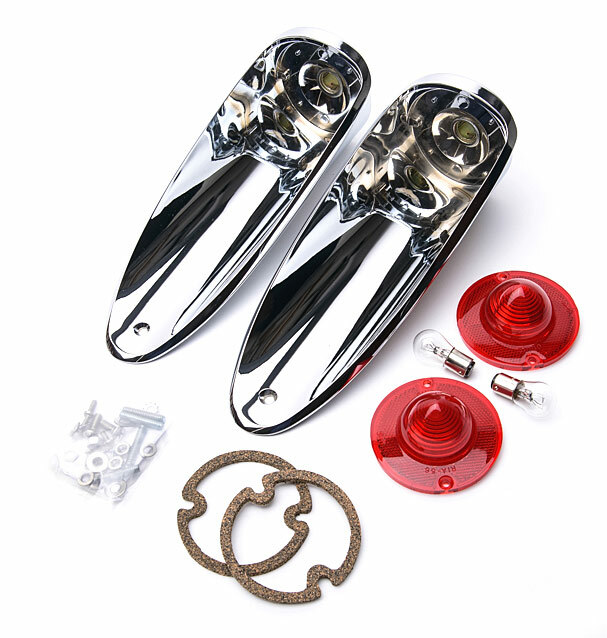 These taillights are sold in pairs, and come complete with mounting hardware, gaskets, bulbs and lenses. Now the only parts that we do not manufacture ourselves, are the screws and bulbs, so we can't guarantee exactly where they came from, but everything else is American made!